Approached by a gravel driveway, the cottage has a sun-trap courtyard with a large patio and shrub beds on the south side. A second patio and lawn at the rear, which catches the evening sun, overlooks the stream and dingle, replanted 2011/2012. The whole cottage is at ground level and so there are no stairs. It has three bedrooms, all en-suite: the master bedroom has a king-size bed with superior en suite featuring a spa bath with shower over, a toilet and vanity basin. 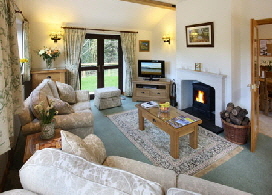 The large lounge with 49” TV has a woodburning stove and external french doors to the front and rear. Internal french doors lead to the kitchen/diner with a separate utility leading to the rear patio. Off the hall is a guest cloakroom with toilet and washbasin. All furniture is oak. Our second visit to a very comfortable cottage - home from home. Hope to be back. Bernie & Roy, Ironville. January 2017. Again a big thank you, Norman & Lynda, great week. ‘Bull Pen’ amazing. Hopitality great. Explored many new places, still many more to see. Hope to see you again soon. Kevin & Sue, Bognor Regis. March 2017. 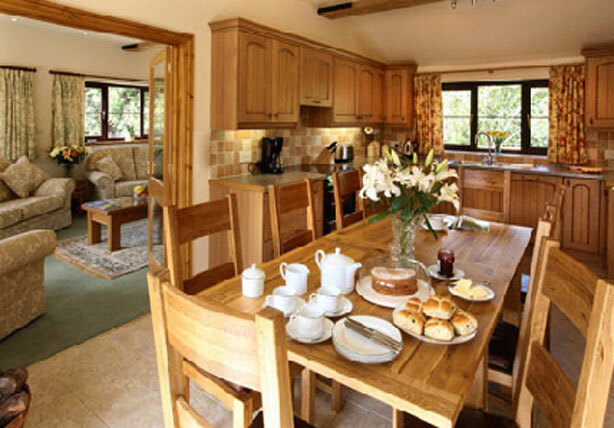 We have had a lovely week in your beautiful cottage. Hopefully we shall return. Also thank you for the delicious cake and extras!! Freddie & Wendy, Rayleigh. June 2017. Wow!! What a beautiful place, everything you could want in the cottage. Home from home. Total comfort. Thanks for all your effort. We loved it. Will be back. Larry & Nora, Corby. July 2017. A very warm welcome, the hamper was an excellent touch, esp. the home made cake. 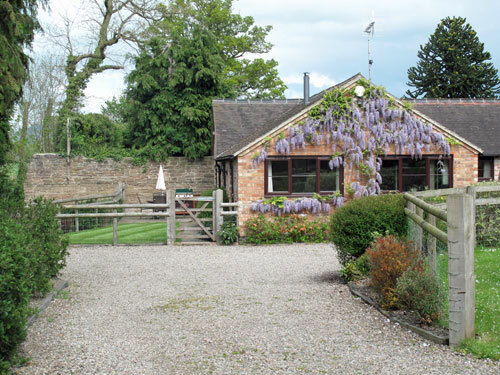 Rooms are clean and beautifully appointed, beds are extremely comfortable after a day walking in the Shropshire/Herefordshire countryside. The good selection of board games in the lounge kept us all entertained. Kitchen very well equipped. Richard, Julia, William & Evelyn, Gloucester & Royal Wooton Basset. August 2017. The Bull Pen was excellent, everything we needed was here. Lovely area to explore, thoroughly enjoyed our stay. Sally’s cooking was lovely. John & Diane, Farnham. August 2017. Another great holiday amongst great scenery and 5 star digs. Thank you. Jill & John, Kim & Kenny, Chard. August 2017. Another great holiday in the Bull Pen. Thoroughly enjoyed our time here and looking forward to our next visit. Sheila, Reg & Joan, Dunfermline. September 2017. 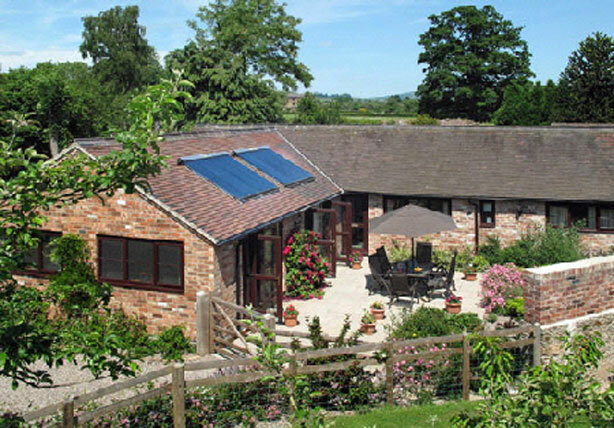 Comfy cottage, fabulous countryside & walks, loved Stokesay Castle & Ludlow. Fab lunch at the Green Cafe . . . . . we hope to return! 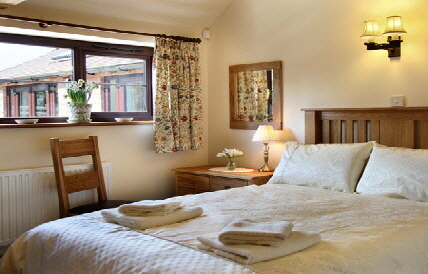 Bedroom 2, pictured above, has a double bed with en suite shower, toilet and washbasin. Bedroom 3 has twin beds, en suite same as bedroom 2. All bedrooms have flatscreen TVs. Another enjoyable stay, thank you. Very comfortable and well equipped. Chris & Len, West Mid. February 2018. A delightful stay in the Old Bull Pen. The Ashford Carbonell villagers are particularly friendly. Wendy & Bob, Birmingham. April 2018. What a perfect little corner of the world! The scenery is sublime, the food magnificent and the people warm and welcoming. Jack, Alex & Kyla, Toronto. May 2018. 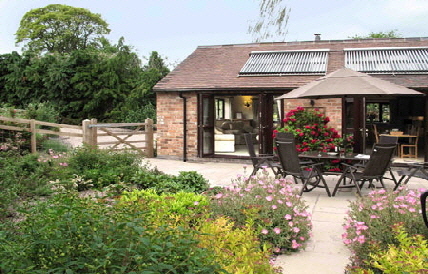 The comfort and excellence of the cottage complimented the superb weather. Bravo! Julian & Allyson, Fife. May 2018. Everything as good as usual. The only snag - High Vinnals gets steeper! George & Margaret, Stockport. May 2018. Very impressive accommodation, all our needs catered for. Very friendly village - everyone made us feel welcome. Catherine, Graham, Ann & John, Manchester. July 2018. We all came on my mum’s recommendation and it did not fail to deliver us a restful week’s break. Beautiful area and good food everywhere we want. Accommodation is superb and beds very comfy. Loved Ludlow and its castle, plus Hampton Court Gardens were lovely. Don’t want to go home!! Nicky & Darren plus returnee ‘mum’ Beryl, Suffolk. July 2018. Our 4th visit and just as good as the first. We’ll be back in 2019! Sheila, Reg & Joan, Fife. September 2018. A most enjoyable stay (once again!). Very comfortable and relaxing. Liz & Mike, Sutton Coldfield. September 2018. Beautiful spot. Everything we could have wished for and more. Bob & Wendy, Stroud. October 2018.